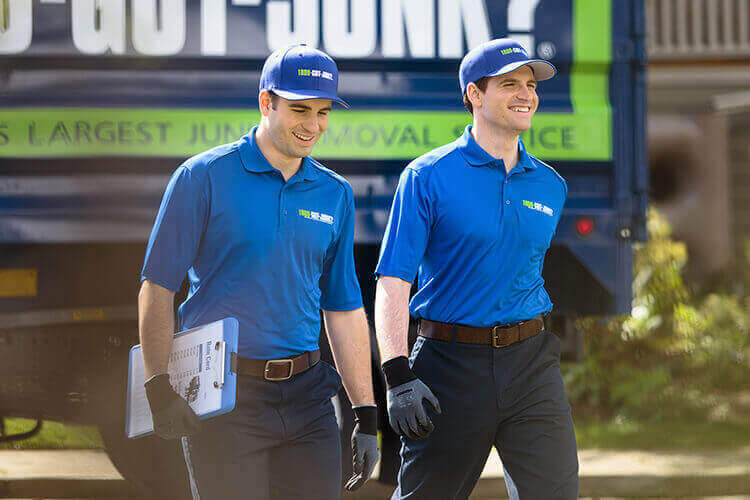 Residential Clean Outs & Household Decluttering | 1800-GOT-JUNK? If you’ve got spaces in your home that you can’t use because they’re filled with stuff, it might be time to declutter your house. It could be a garage you can’t park your car in, or a basement full of stuff that you would like to be able to use as a living space. When you can’t find the things you actually need because they’re stuck behind piles of clutter, you need to clean things out. Once you decide what to keep and what to get rid of, you’ll need a hand actually getting it out of your home. 1800-GOT-JUNK? is happy to help! Our decluttering service makes it easy to finally get rid of all that unwanted rubbish. We offer full-service rubbish removal, which means we’ll do all the heavy lifting. Just show us what you want to get rid of and we’ll handle the rest. We’ll even sweep up the area when we’re done. Just point and junk disappears!